A roux is a simple combination of fat and flour cooked until the mixture has thickened and the raw flour taste has cooked out, which only takes a few minutes. It is used to thicken sauces and savory dishes. In France, the fat used is butter, but in Cajun cooking, lard or oil is the preferred fat and the roux is cooked for a much longer time until, in the case of dark Cajun roux, it develops a nutty aroma and nutty brown appearance. Roux is an essential part of Cajun cooking used to thicken sauces, soups, stews and more. This Cajun roux recipe is made on the stovetop and will produce a light or blonde roux, but it also can be made in a microwave oven or conventional oven. Additionally, this recipe makes a thicker roux. For a thinner roux and, thus, a thinner sauce, use 1 cup of oil and 1 cup of flour. The more oil you use, the less chance there is of burning the roux, so if you've never made a roux before, you might want to start out with equal parts of fat and flour. Heat a cast iron skillet or pot over medium heat for about 2 minutes. Add oil and heat for another 2 minutes. Add flour and whisk, or stir, constantly to combine to a smooth consistency. Continue to whisk, or stir, constantly until the roux reaches a blonde color - about 8 minutes. For a darker roux, cook it for up to 60 minutes, stirring frequently. When the roux reaches the desired color, you can proceed with a recipe, adding the "holy trinity" of onion, celery, and bell pepper, and whatever main ingredient you are using, plus seasonings and water. Use in your favorite cajun or French recipe and enjoy! If the roux seems to be cooking very fast or getting very dark, turn the heat down. Above all, stir almost constantly—at least every 15 seconds; with each stir, the roux gets just a bit darker. Try using a flat metal spatula (like a pancake turner) as it covers more surface area than a spoon. In addition to making roux fresh for just the dish you happen to be preparing, you can make a larger quantity and refrigerate it or freeze it for future dishes and longer storage. 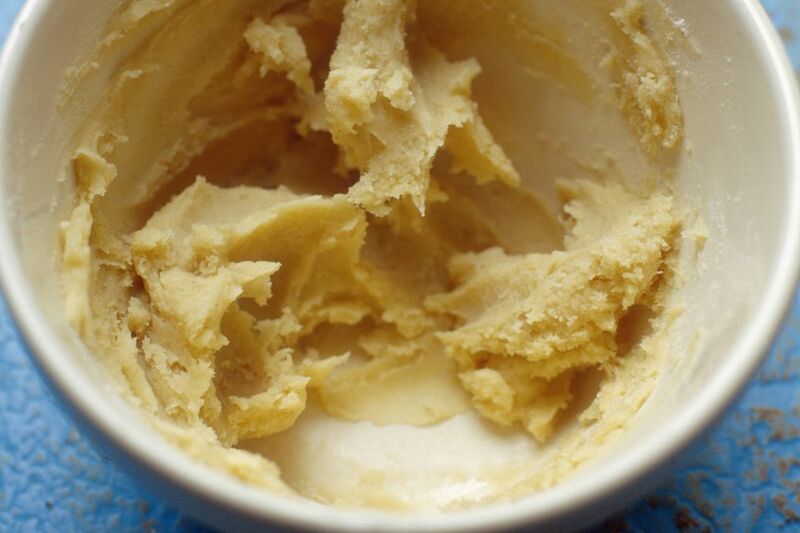 Make-Ahead Roux: If you are making the roux ahead to keep as needed, transfer it to a large glass or plastic bowl to stop the cooking process, stirring occasionally as it cools down. Roux can be kept in the refrigerator for two months, or in the freezer for six months. Freezing Roux: If freezing the roux, place 1 tablespoon of the roux in each section of an ice cube tray and, when firm, transfer to a freezer bag. When a recipe calls for 1/2 cup roux, pop out 8 cubes (8 tablespoons, or 1/2 cup). You also can use just a cube or two at a time if your stew, soup, or sauce needs a bit of thickening. For a light roux, after a few minutes of cooking the flour and fat, the roux is likely to become foamy and remain so for several minutes until it thickens. This is normal. For a dark roux, after about 10 minutes, the roux will begin to turn dark and will develop a nutlike fragrance. After about 20 minutes, the roux will start to cook faster and must be watched more carefully so it doesn't burn. Lower the heat if necessary—a burned roux is only fit for the garbage. If the roux starts to smoke, lower the heat or turn the heat off for a bit to allow the roux to cool down. If the oil gets hotter than the point at which it starts smoking, it may negatively affect the taste. It's helpful to know how much roux a recipe will make and how much roux you will need to thicken a certain quantity of food. If a recipe calls for making a roux with 1/2 cup oil and 1/2 cup flour, use 1/2 cup of prepared roux, or a quantity of prepared roux equivalent to the amount of flour called for in the recipe. To thicken 6 to 8 cups of liquid for a gumbo, soup, or another dish, use 1 cup prepared roux or start with 1 cup flour and 1 cup fat.